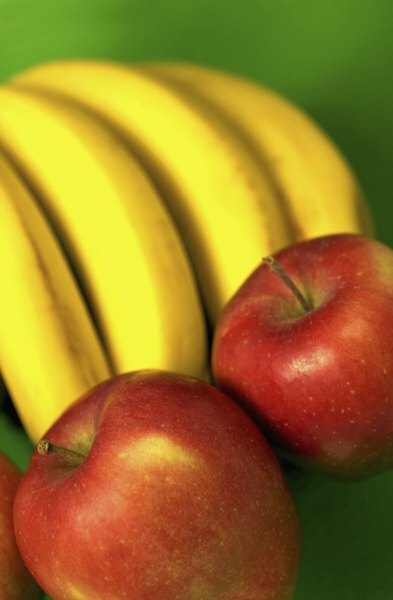 Which One Is the Healthiest, Apples or Bananas? Bananas have more of most nutrients. Deciding whether an apple or a banana is healthiest is like choosing between good and better. Bananas have more than double the amount of eight nutrients, but apples also supply those nutrients and with 50 fewer calories. There is one distinction that may make the difference, depending on your needs: bananas have seven times more starch than apples. Nutritional values provided are for one large banana 8 to 9 inches long and one small apple about 3 inches in diameter. They may not sound similar in size, but they each weigh in the range of 140 grams. Both fruits are naturally fat free, and an apple has 77 calories, compared to a banana with 121 calories. Both fruits supply 16 percent of your recommended daily fiber. Bananas have slightly more sugar, but you’ll get about the same amount from an apple. The big difference is in total carbs and starches. One banana has 31 grams of total carbs, compared to 21 grams in an apple. More significantly, a banana has 11 grams of starch, which is seven times more than an apple. This difference is reflected in their glycemic scores. Apples have a low glycemic score of 39, which means they have a small impact on blood sugar. 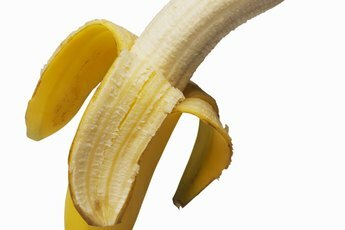 Bananas are on the edge of a high score with 62, so they make blood sugar rise more quickly. No matter which one you choose, you’re sure to get vitamin C. An apple supplies 7 milligrams, or 9 percent of your daily value, and a banana has 12 milligrams, which is 16 percent of women’s daily requirement for vitamin C. One banana has seven times more folate and vitamin B-6 than an apple, giving you 7 percent of the recommended folate and 38 percent of your daily vitamin B-6. 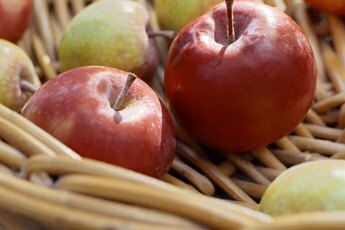 Apples have the edge if you’re looking for vitamins E or K, because they have double the amount, but you’ll still only get 2 to 4 percent of the daily value. Overall, bananas have the same amount, or more, of all vitamins except vitamins E and K.
Bananas have more of nine minerals. You’ll get the same nutrients in an apple, but only half, or less than half, of the amount in a banana. If you need to add potassium to your diet then bananas are the clear winner with one large fruit containing 487 milligrams, or 10 percent of your recommended daily intake. By comparison, apples have 3 percent of the daily value. One banana is also a good source of magnesium, supplying 12 percent of your daily recommended intake. 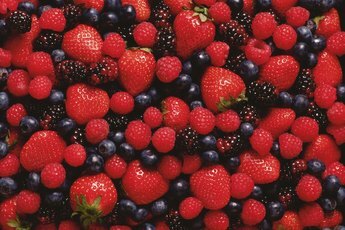 Many health benefits attributed to fruits come from substances they contain called flavonoids that work as antioxidants and prevent inflammation. 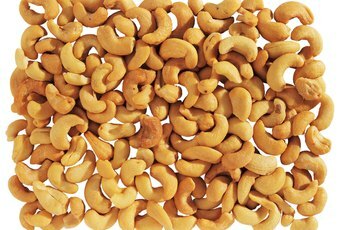 They may also prevent cancer by removing carcinogens from the body or by stopping the growth of cancer cells. Apples and bananas have about the same amount of total flavonoids, but apples are a better source of flavonoids known as flavonols, while bananas are better sources of anthocyanidins.